No, you did not read that incorrectly. This Summer, DC’s Green Lantern will crossover into the Star Trek universe for an epic comic book event of galactic proportions. Given by the image below it appears as if we may get a look at the first encounter between a young Captain Kirk and a young General Chang who seems to possess his one yellow lantern ring! Here is what IDW had to say about the upcoming miniseries. “Green Lantern is one of the most popular, storied characters in the history of comic books and a modern DC Comics icon. 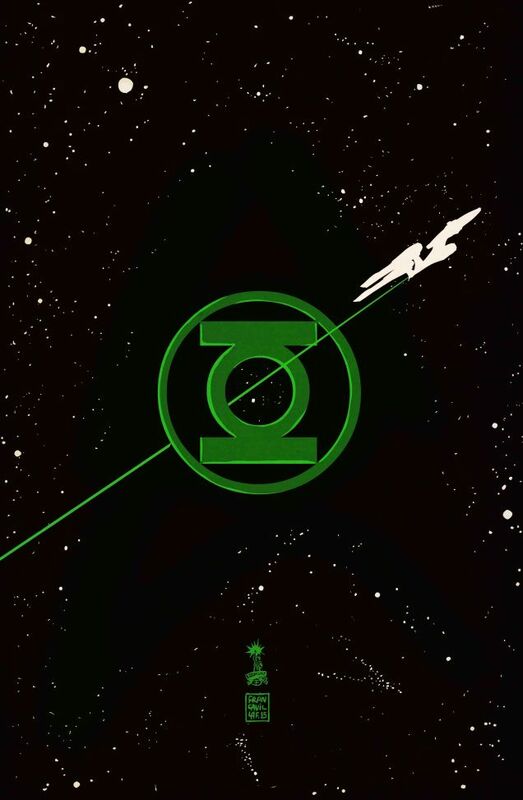 An entire universe of Green Lanterns and other supporting characters have grown out from his original adventures in the 1940’s, and this series really showcases the intergalactic scope of the franchise,” said Bob Harras, Editor-in-Chief of DC Comics. A pop culture mainstay for almost 50 years, Star Trek’s fan base continues to grow exponentially with the new feature films in 2009 and 2013. Now all Star Trek fans can watch their favorite U.S.S. Enterprise crew members meet Hal Jordan and the entire Green Lantern Corps in an adventure that spans space, time and all the colors of the spectrum. 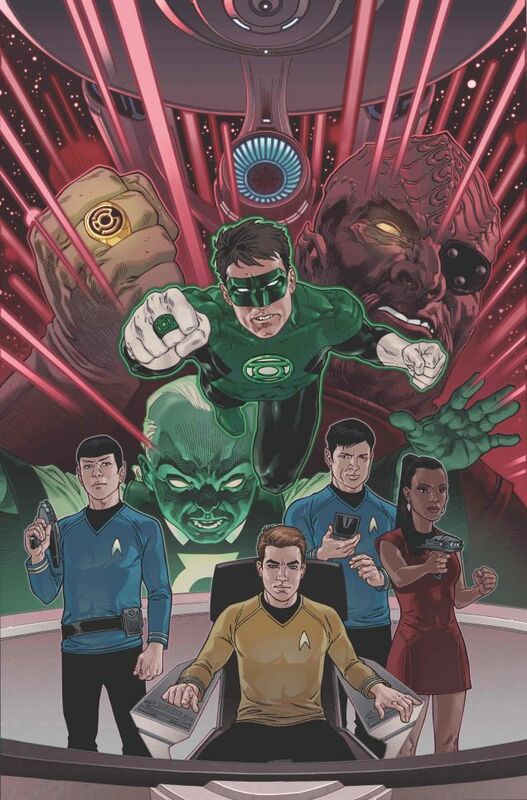 Set in Star Trek’s 23rd Century, the balance of the universe will be tested when the Green Lantern Corps’ Power Rings come into the possession of certain Star Trek characters while a dark and powerful evil looms around every corner. 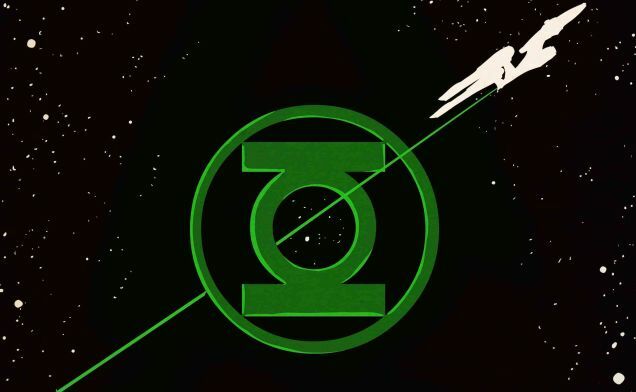 Only the combined power of the Green Lantern Corp and the Federation stand any chance of stopping those who worship evil’s might. This entry was posted in Comic Books, DC, IDW, Super Heros and tagged DC Comics, Declan Shalvey, Elsa Charretier, Francesco Francavilla, Gabriel Rodriguez, Garry Brown, Green Lantern, Green Lantern Corps, Hal Jordan, IDW, Marc Laming, Power Rings, Star Trek, U.S.S. Enterprise. Bookmark the permalink.